Low-carb diet mainly focuses on reducing carbohydrates while giving emphasis on dietary protein and fat. Being on a low-carb diet requires you to cut off carb such as grains, sweets, pastas, starchy vegetables, and some fruits that are high in carbohydrates. There are various types of diets that anyone can try. However, each diet also compliments every person’s needs. To keep you guided whether or not low-carb diet is right for you, listed below are some of the helpful of its helpful benefits. Speeds up weight loss – For many years now, low-carb diet has given an edge to people who desire to lose weight very quickly. 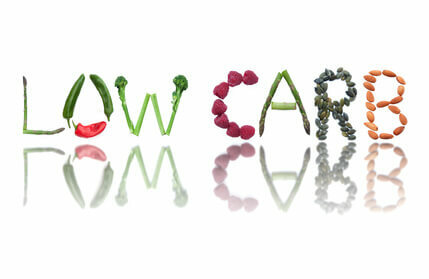 Since low-carb diet reduces carbohydrate supply in the body, it forces the body to utilize stored fats for energy. Hence, the body can shred weights easily from loss of water and muscle tissue. Reduces risk of diabetes – In addition to genetics and obesity, excess fats and high sugar levels in the body can also cause diabetes. Low-carb diet cuts off carb and limits excess fats, helping the body maintain low and stable blood glucose level. Lowers high blood pressure – High blood pressure is often hereditary but even people who least expects it can experience hypertension during the heat season. It can also be acquired as people age but it can be overcome by the way you eat. Many people who opt to low-carb diet mainly for weight loss also experienced drop in high blood pressure. While low-carb diet limits blood glucose levels, it also prevents them from clogging the arteries. If your arteries are clean, they become more compliant and flexible. Hence, your heart does not have to pump harder resulting into a normal blood pressure. Reduces risk of Coronary Heart Disease (CHD) – Whether or not heart disease is common in your family, anyone can be at risk of developing it through food intake. Low-carb diet increases high density lipoprotein (HDL), also known as the good cholesterol and decreases low density lipoprotein (LDL). High level of HDL cleanses the blood stream from bad cholesterol, paving the way for a healthy heart.